In the closing ceremony of the London 2012 Olympic Games, the Olympic flag was officially handed over to the city of Rio de Janeiro, marking the beginning of the countdown to the Rio 2016 Olympic and Paralympic Games. 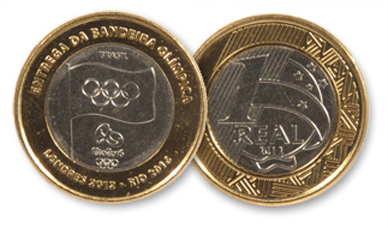 On the obverse, the Olympic flag and the Rio 2016 Olympic Games emblem. 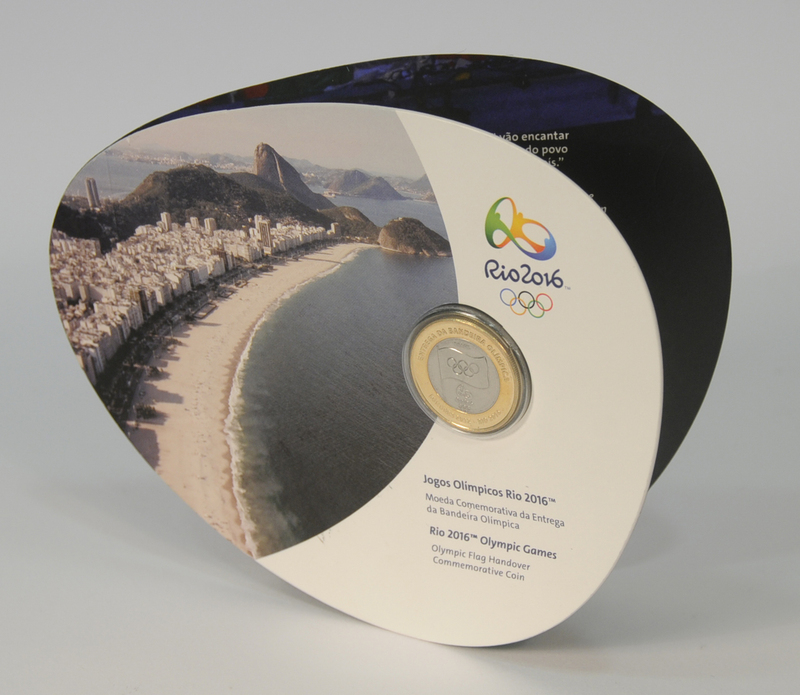 The reverse design was not modified..
Part of the mintage will be available in special packages for collectors.